Overnight parking and tailgating are not allowed in any university parking structure or lot. Parking areas are typically open 90 minutes before doors open for an event. Should money collectors not be present at the time of your arrival you will be required to purchase a pay machine permit for the length of time you are on campus. 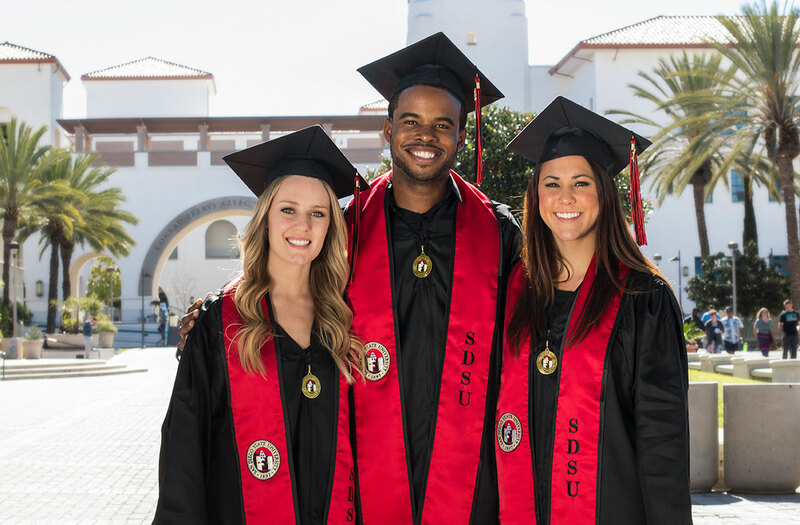 Available in Parking 8 & 9A, Calpulli Garage and directly south of Viejas Arena. Additionally, there is disability event parking with general parking in Parking 6, 7, & 12. There is a $20 charge per vehicle in disability parking spaces even with a DMV placard or plate. Take I-8 West to College Avenue (Exit 10) and turn left. Cross the freeway bridge and take the first right onto Canyon Crest Drive. Follow Canyon Crest past Parking 15 and up the hill until you come to the stop sign, and turn right. Parking 12 will come up on your right. Take I-8 East to College Avenue (Exit 10) and turn right. Take the immediate right onto Canyon Crest Drive. Take College Avenue approximately one mile south and turn right onto Montezuma Road. Take Montezuma Road approximately one mile and turn right onto 55th Street. Parking 7 will come up on your left. Take the stairs or elevator up to MTS bus stops on the top level, and follow the footpath westward. Viejas Arena will come up on the right.